In June of 2010, Nelson left Western State College for a new position as the Metadata and Systems Librarian at Colorado College. Almost immediately after starting in 2010, Nelson's development work first began automating the MARC record manipulation for loading into CC's legacy ILS as well as work on a thesis submission web application. FRBR, short for Functional Requirements for Bibliographic Records, is a resource-entity representation for bibliographic entities that most significant use is in RDA - Resource Description and Access - an effort to replace AACR2 cataloging rules. As mentioned in the previous slide, the Western's E-Library used FRBR representations of electronic resources stored on Google App Engine's commercial datastore. Redis is an open-source key-value NoSQL data-storage technology where unique keys are associated can be associated with different data structure values like strings, lists, sets, hashes, that enable fast access to data because Redis stores everything in a computer's memory. 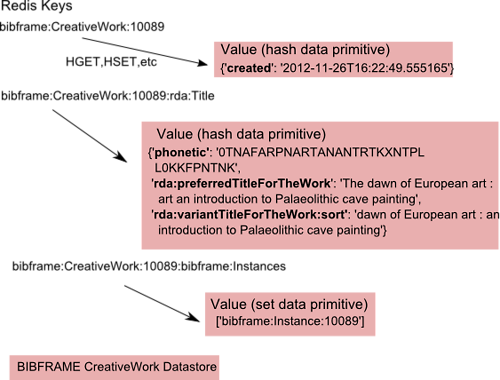 BIBFRAME, short for Bibliographic Framework, is a Library of Congress initiative to replace MARC 21 with a Linked Data vocabulary. 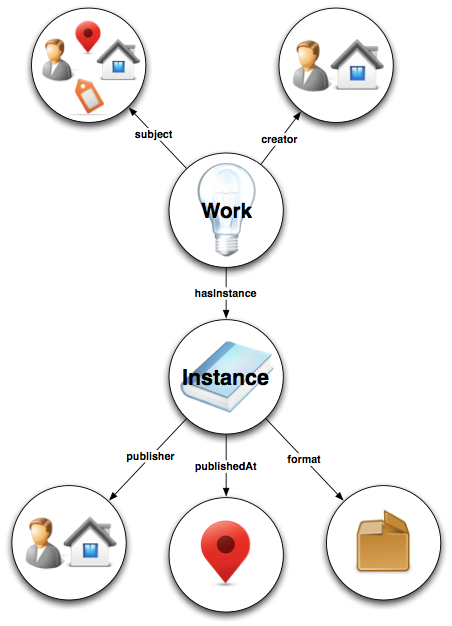 BIBFRAME is made up four major classes, Works, Instances, Annotations, and Authorities. "… a resource reflecting a conceptual essence of the cataloging resource." "… a resource reflecting an individual, material embodiment of the Work." "… a resource that enhances our knowledge about another resource when knowing, minimally, 'who' is doing the annotating is important. "… a resource reflecting key authority concepts that have defined relationships reflected in the Work and Instance. "